Imagine if it were a friend, a family member, or even a guy down the street to whom it happened. Imagine if the full weight of the federal government’s ponderous and powerful law enforcement, judiciary, and intelligence communities put their sights squarely on them, joined by ignorant and eager fellow travelers from media and the entertainment industry. Constantly and gleefully they attack that person and tear apart the lives of their friends, family, and business associates, ripping apart life after life on an expedition rivaling that of Francisco Vasquez de Coronado in expense, effort, and likelihood of finding the intended result. Even better, imagine if it were you. 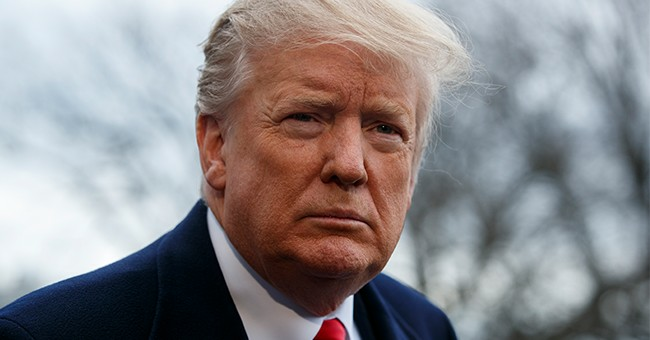 Republicans celebrating victory after the exoneration of the president have even forgotten the true tragedy of what has happened to President Donald J. Trump. Too many treated this like a game won and have forgotten that the president and all those around him have paid a steep price for the entire time that this investigation has taken place. So, just for a minute, imagine that Donald Trump does not have billions of dollars. Imagine that he is not the president of the United States. Forget that he has an abrasive style that might or might not rub you the wrong way. Imagine that he is another child of God, like you and me. Then put yourself in this human being’s shoes. If this were you, how would you process it? Armchair pundits on either side sugarcoat it, saying “if you are innocent, you have nothing to worry about.” That wipes away the very real human response to a continual Sword of Damocles hanging over your head. We know that in many cases, such as that of Conrad Black, when prosecutors want your head they can and will manipulate the law and facts to serve you up like a spiral ham on Easter to a waiting jury. An investigatory group that spent two years and over $20 million has every incentive to comb through every detail to find something, anything, to justify what was spent. In reality, no human being could endure this easily. You see the collateral damage done to friends and associates, their lives and reputations ruined to no good end. You fear for those friends and family that you love and care about, wondering who might be next sacrificed to the frivolous whim of investigators, politicians, and the media. The insider jackals that pursued Donald Trump from even before the time where his presidential campaign showed signs of actual vitality used every measure at their disposal to destroy the man publicly, privately, and legally. Ironically, the same liberals who argued against the expanded intelligence capabilities post 9/11 proved themselves right and George W. Bush supporters wrong by using the very same controversial tools to harass and destroy innocent American citizens for political motives. These included the use of secret courts and chummy back passage relationships at the highest levels. In doing so they resurrected the spirit and some of the methods of the Okhrana right here in the United States of America against its own duly elected head of state. Our greatest legal thinkers and jurists feared just this kind of persecution of any individual American citizen. They urged caution and restraint. John Marshall, in his opinion on United States v. Burr (1807) had to weigh the case of an infamous character. Aaron Burr infuriated his own Democratic-Republican Party by trying to steal the presidency from Thomas Jefferson. He then sealed his political fate by killing Federalist Alexander Hamilton in a duel. After authorities stopped Burr’s fruitless expedition to conquer Spanish territory, a vengeful President Jefferson declared him a traitor against the United States without a modicum of evidence. John Marshall, with every reason to despise Burr personally, penned in his opinion “if any conduct on the part of the court could warrant a sentiment that it would deviate to the one side or the other from the line prescribed by duty and by law, that conduct would be viewed by the judges themselves with an eye of extreme severity, and would long be recollected with deep and serious regret.” He and others of the Founding Father generation feared that political and social passions could pervert government and justice and sought to restrain, rather than expand, certain powers. Chief Justice Earl Warren served during a time when presidential power expanded tremendously. This court, once referred to as liberal, in case after case fought diligently to defend the rights of individuals in the face of potentially crushing government power. In this case, however, those pursuing the president had no real evidence. They looked at his phraseology, his abrasive style in business, his occasionally aggravating campaign style, and, most importantly, his honest aspiration to return Middle America to the table of power at the expense of connected elites, namely the very people attacking him. In a bad imitation of a Tom Clancy thriller, they concluded that he must have something incriminating, then determined to find whatever it was and nail him to a cross with it. Again imagine this is you, because very few people can imagine themselves as Donald Trump. Now consider the fairness. Should an innocent person endure such torment just because his character leads one to believe that he must have committed a crime, somewhere, somehow? Should this ever happen to any American citizen, no matter how powerful or vulnerable? Is this not both a legal travesty of justice and a human tragedy that no innocent person should ever experience based on so little actual, believable evidence? Imagine if it were you.